Krissy is licensed in and for the State of Florida and has practiced in Pinellas County since 2011. In addition to all Florida State courts, she is admitted to practice in the Middle and Northern Districts of Florida. She litigates in both state and federal court and focuses on commercial litigation, class actions and landlord/tenant law. Krissy is the President and a Trustee of the Clearwater Bar Foundation. 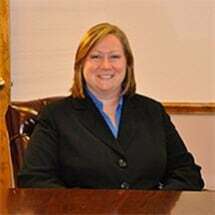 She is also a member of the Clearwater Bar Association and the Young Lawyers Division. She has lived in Pinellas County for the past 16 years. She has a B.A. in English from the University of South Florida and a Juris Doctor from Stetson University College of Law.